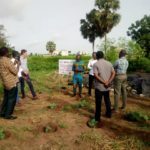 We produce high quality bio-fertilizers from locally available and poorly used byproducts for sustainable intensification of vegetable production in Benin. We produce bio-pesticides with broad spectrum of action (extraction of large amounts of active ingredients, combination of several active ingredients) for an effective and ecological control of pests and diseases that undermine vegetable production in Benin. 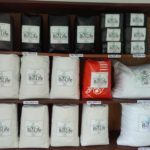 We produce different types of essential oils/powder effective in a healthy and long-term preservation of agricultural products after harvesting. 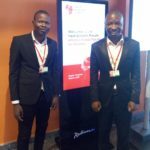 “BioLife” is a start-up specializing in the production of biological inputs including compost and bio-pesticides for intensive agro-ecological production (especially in vegetable and fruit production). 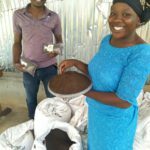 The start-up promotes the use of appropriate technology and locally available resources which has high nutrients values to produce highly competitive quality organic inputs available in real time for producers. Through this production strategy, BioLife offers his products at a highly competitive price. 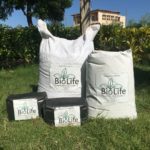 The use of compost and bio-pesticides produced by BioLife double sustainably the current yields of vegetable growers while ensuring the conservation of natural resources and the health of consumers. Customer service is provided to ensure appropriate use and the uptake of our products by vegetable growers. In term of innovation, our compost is free of sand and other residues and produced in 45 days instead of an average of 3 months. Materials used to produce our composts are plant and animal residues with appropriate technologies to meet plant’s requirement. Our product is available is small package, so easily transportable..
We target the vegetable growers of urban and peri-urban area of Benin estimated at more than 5000 growers. We also target the landscape designers of the urban area of Benin. These categories of customers are those using compost, biopesticide every week.Currently we use to provide our compost for the experimental and vegetable production site of Laboratory of Genetics, Horticulture and Seeds Science (GBioS) where they use it to grow different crops.